Awesome Facebook Tricks , Try IT !! ~ My Media Centers-PC & Android Games & softwares,Movies, Tips And Tricks & Much more..
Are you bored with the default blue colored Facebook theme and want to get rid of it? Go change it to something super cool in Firefox. 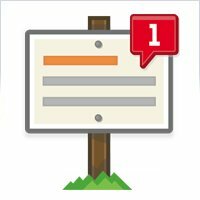 Go to Facebook's notifications page and click on the RSS link to find the RSS feed containing all your recent notifications. You can then subscribe to this feed in any desktop based RSS reader to instantly know when a new notification occurs. Have you noticed that when you update your Facebook status from a mobile, Facebook adds a "Posted via Mobile" link at the bottom of it? You can change that to say hilarious things like "via Carrier Pigeon" or "via My Bedroom." To do this, just go to PostedVia, choose a delivery option and update your status or post to a friend's wall. 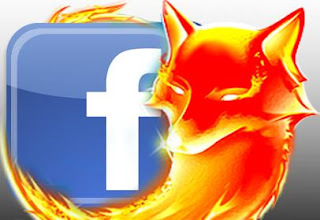 FireStatus is a Firefox addon that allows you to instantly update your Facebook status without having the need to visit Facebook again and again. 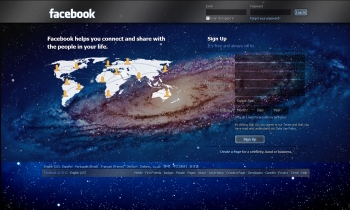 Have you ever wanted to chat with your Facebook friends without opening a web browser? Desktop based applications like Digsby and ChitChat can allow you to stay connected with all your friends even when you close your web browser. This is much similar to chatting with Yahoo! Messenger or Google Talk chat client.